Let Graham take you on a journey through 1300 years of Japanese fishing history where the tradition of cormorant fishing has never changed. 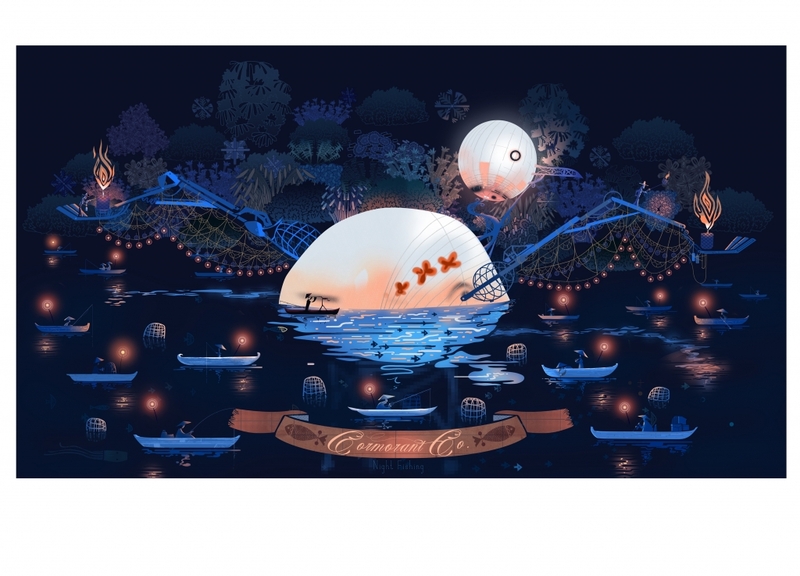 This stunning depiction of the Gifu Prefecture, the river most famous in Japan for this ancient fishing technique, has had a few modifications by Graham - but wouldn't a giant mechanical bird be wonderful to see!! This print contains the extraordinary detail which you would expect from Graham Carter, his attention to detail has created individual fisherman, stunning flora & fauna and an intricate web of joints to create the bird. Limited edition giclee with Varnish silkscreen printed overlay.